So needless to say, we were thrilled to talk to the delightful Kristanna Loken about what she is doing now, what her future possibly holds, and about the T-X Terminatrix of course! SKYNET’S ARMY : Thanks Kristanna for taking some time out of your busy schedule to talk to us. We first want to congratulate you again on the birth of your beautiful son. Now that almost a year has passed, do you think motherhood has, or will, change you in regards to how you proceed with your career and your future project choices? Kristanna Loken’s public social media profile picture of herself, and her son Thor. KRISTANNA : Motherhood is the most incredible role I will ever have. Every choice & decision carries much more weight as I’m directly influencing my son. I have grown exponentially from this experience thus far, and feel that Thor is my teacher & I am the student. He is the top priority in my life & films & other projects will have to make sense with his schedule as far as location and timing. SKYNET’S ARMY : Children today get heavily involved with video games, especially boys. Have you considered that when your son is old enough to play those classic “Terminator 3” games that features his mother, you are going to be the coolest mom on the block? 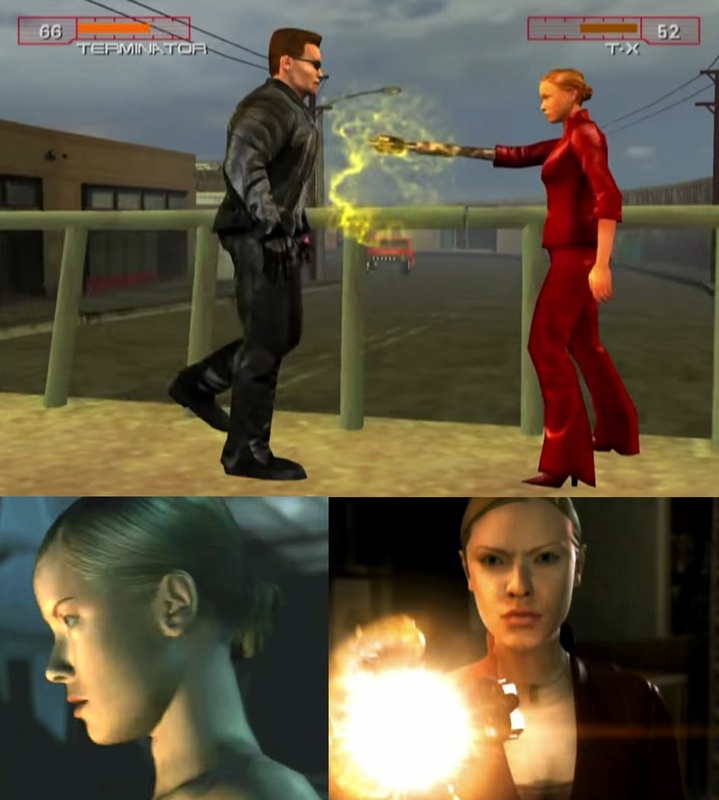 Screenshots of the T-X Terminatrix in the “Terminator 3: Rise of the Machines” and “Terminator 3: The Redemption” video games. KRISTANNA : I have 2 stepsons and they sure do love their video games! I haven’t considered whether or not I will deem the T3 game appropriate. I will watch it first to make sure. However, he might find it pretty cool that he can play his mom’s character in a game! 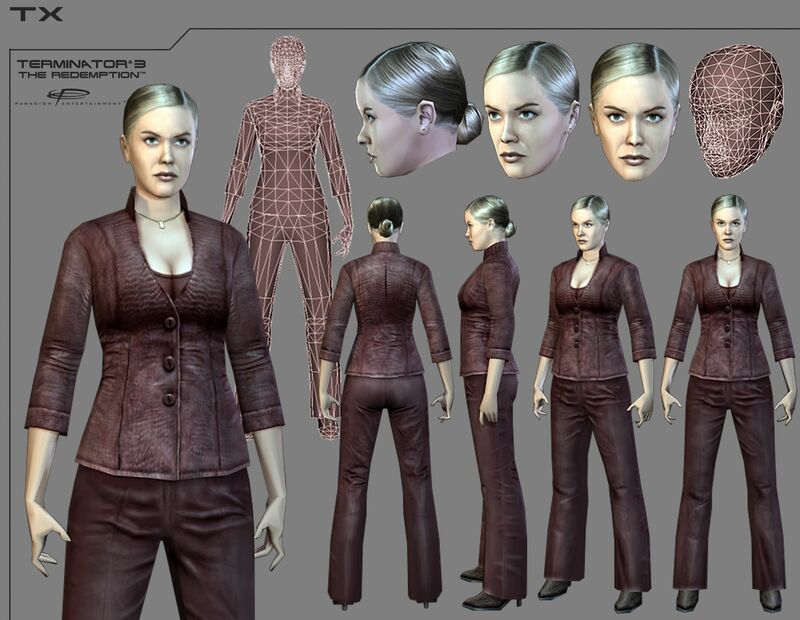 Kristanna Loken was fully scanned in 3D during the making of “Terminator 3”, which allowed video game companies like Paradigm to use that data to build a realistic looking T-X 3D model for their games. SKYNET’S ARMY : Speaking of Terminator, so many fans feel you were the best part of “Terminator 3: Rise of the Machines”. And, every time there is a new Terminator project announced, there is always speculation that you might return as the T-X. Has there ever been preliminary talks about your return, and would you be willing? An on-set promotional photograph of Kristanna Loken as the T-X in “Terminator 3: Rise of the Machines”. KRISTANNA : I would love to reprise my role as TX! Don’t rule it out, you never know what the future holds! James Cameron and David Ellison take note: Kristanna Loken would love to reprise her role as the T-X! SKYNET’S ARMY : Fans always get excited when you return to the action genre. In your latest film “Black Rose”, you do just that. You play a police profiler named Emily Smith that teams up with a Russian police major in an effort to track down a psychopathic killer before he strikes again. Did this role require any special preparation, and did you come away with anything in regards to how you feel towards that profession? 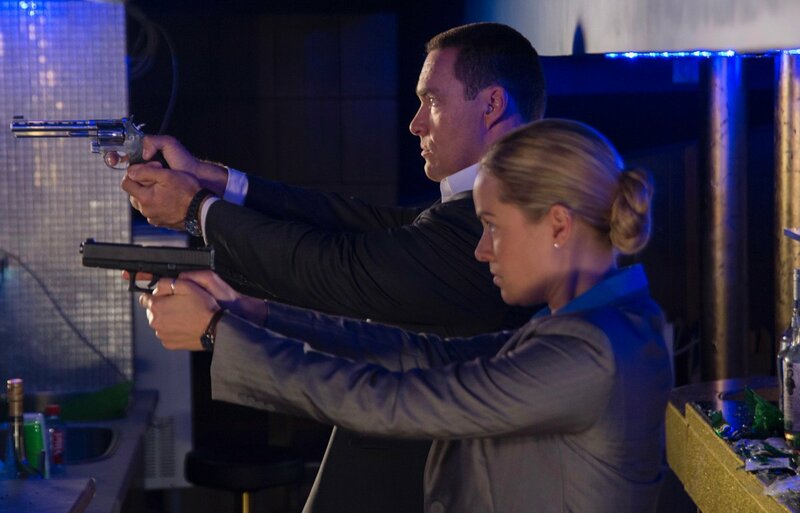 KRISTANNA : “Emily Smith” is a new police profiler who teams up with the Russian Major (Alexander Nevsky) that the LAPD has hired to help crack the case. This is Emily’s first time that she experiences people dying under her watch and it deeply affects her. KRISTANNA : (continued) I personally wanted to experience what the tragedy would be like as much as possible, so I watched a real beheading video to deeply absorb the pain. This was extremely difficult. The weight of the loss of humanity on your shoulders in this profession is very difficult and I can see how a police profiler could get obsessed with finding the killer. 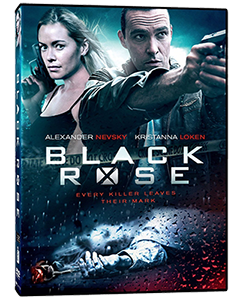 SKYNET’S ARMY : (Lastly), Your “Black Rose” co-star, actor Alexander Nevsky, who plays the Russian police major your character partners with, also directed the “Black Rose”. Have you ever considered one day getting into directing yourself? KRISTANNA : I am currently launching my production company Trio Entertainment. 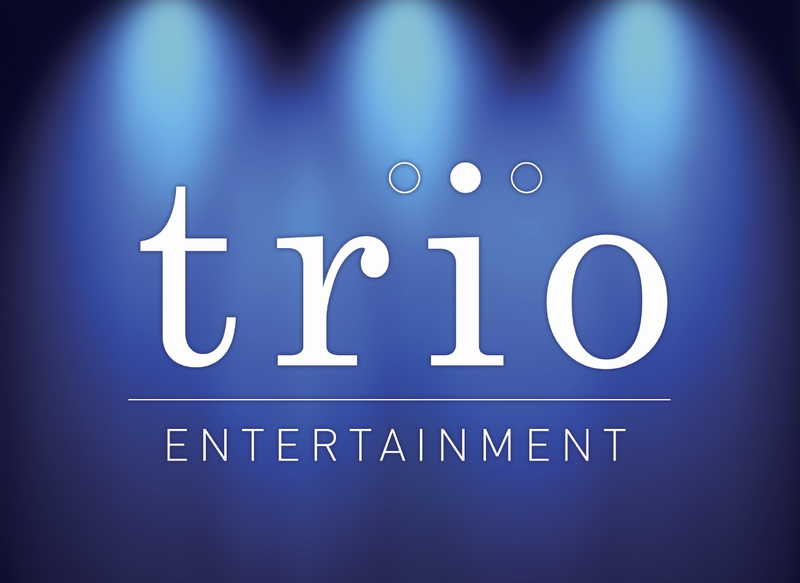 Trio Entertainment is a new multi-platform entertainment company founded by Kristanna Loken, Jimmy Palmiotti, and Ray Moheet. KRISTANNA : (continued) I am very excited to have more creative control as an actress, producer, and yes director at some point. I feel more ready than ever to take on directing. I’ll just have to decide which special project that will be. We would like to thank Kristanna Loken again for taking time out of her busy schedule to speak with us. Be sure to watch and support her new movie Black Rose, which will be in theaters on April 28, 2017, and on VOD (Video On Demand) and DVD this May 2nd! Previous PostJames Cameron’s “TERMINATOR 6” producing role will likely be limited as Avatar sequels begin production.Next PostWhat ever happened to the “TERMINATOR 3000” animated 3D film? More TX ? Yes please ! I am impressed she watched a terrorist beheading video as research.You cannot unsee those sorts of things.They stay with you.